Find below the list of top schools in Seema Dwar - Dehradun with phone number, address, 360° School tours, 2018-19 Admission forms & Fees, photos, facilities & more. Kendriya Vidyalaya Seema Dwar is located in Seema Dwar, Dehradun. It was established in 1987. This school follows the CBSE board. The school has English medium. You may also be interested in other schools of Dehradun. Ecole Globale International Girls?School is an exclusive girls?international boarding school in Dehradun, India, and was recently ranked as number six in India in peer and parent surveys (*Education World 2013). Launched in April 2012, we offer first-class, college-preparatory education to students from India and around the world. The school is affiliated to the Cambridge International Examinations (CIE) and the Central Board of Secondary Education (CBSE) and students are inducted from grade 4 to 9 and to grade 11. A fully residential school,the students and staff live and work together on our 40 -acre campus located on the foothills of the spectacular Shivalik Hills. Ecole Globale was founded by Mr Amarjeet Juneja under the umbrella of the Asian Educational Charitable Trust, which also runs the hugely successful , The Asian School in Dehradun, a co-educational, day and boarding school that has been Alma Mater to several generations of successful scholars, from within the vicinity of Dehradun and other farflung cities in India and abroad. This heritage continues today in Ecole Globale? commitment to values of excellence, personal responsibility and service, and in our special mission to educate the girl child , to empower her to face the vicissitudes that life will hold for them with grace and courage?a purpose to which we are wholly committed to. 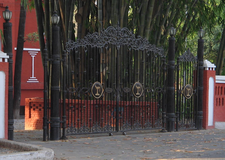 Raja Ram Mohan Roy Academy is located in Subhashnagar, Dehradun. follows the ICSE board. The school has English medium. 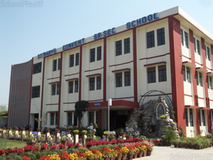 Constancia School is located in Saharanpur, Dehradun. follows the ICSE board. The school has English medium. Hilton's School is located in Subhashnagar, Dehradun. It was established in 1975. This school follows the ICSE board. The school has English medium. St Jude's School is located in Majra, Dehradun. It was established in 1993. This school follows the ICSE board. The school has English medium. Sunrise Academy is located in Raipur Road, Dehradun. follows the ICSE board. The school has English medium. 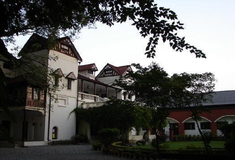 Mount Fort Academy is located in Indira Nagar, Dehradun. follows the ICSE board. The school has English medium. Gautam International School is located in Indira Nagar, Dehradun. It was established in 2000. This school follows the CBSE board. The school has English medium. Times World School is located in Indira Nagar, Dehradun. It was established in 2007. This school follows the CBSE board. The school has English medium. Dehradun being the capital city of Uttarakhand is popular for its majestic Himalayan mountain range and picturesque Shivaliks right in the south of the hill station. The city boasts good number of best school Dehradun and day boarding schools affiliated to the Central Board of Secondary Education (CBSE).The list of schools in Dehradun is having good numbers of boarding schools having students from different corners of India. The city is more than 300 schools and many of them are missionary schools. Check the list of best schools in Dehradun before selecting one for the admission. Choosing the right school for a child is a daunting task. Making the job easier for you is Sqoolz. In order for your child to get admission to the best schools in Seema Dwar - Dehradun you need to study and analyze the list of top schools in Seema Dwar - Dehradun. With our detailed list of schools in Seema Dwar - Dehradun, you can get all the information you need.